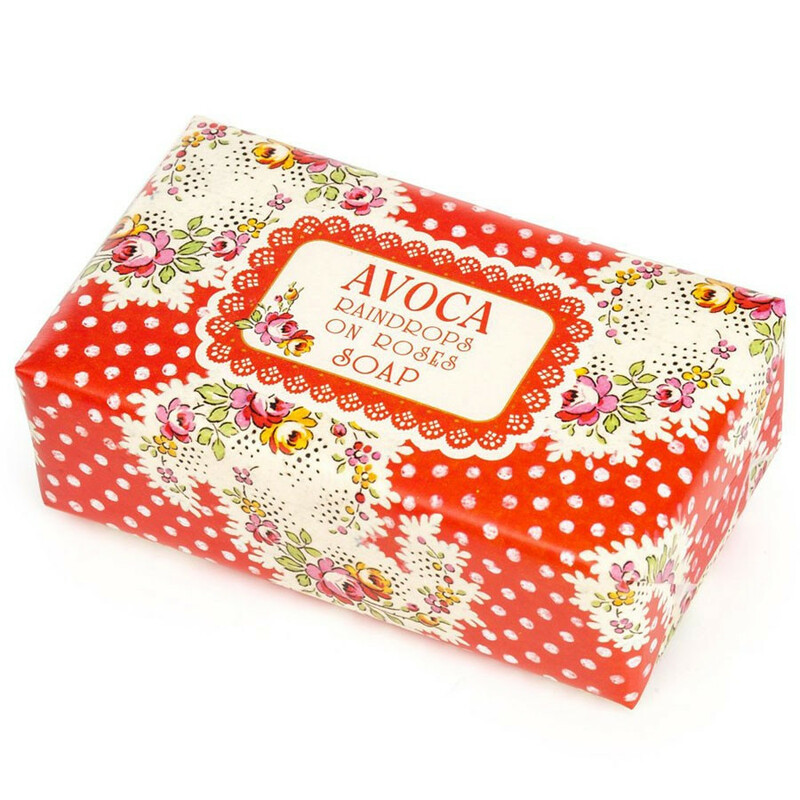 Morning raindrops on roses soap by Irish brand Avoca. Raindrops on Roses Avoca soap is delicately scented with fragrant roses. The beautiful vintage package design makes it a great bathroom accessory and house decoration! This soap has been made with palm oil and coconut oil. 100% from vegetal origin. This soap has not been tested on animals. Ingredients: sodium palmate , sodium palm kernelate, water, perfume, sodium chloride, shea butter, citronellol, geraniol, titanium dioxide, (CI77891), EDTA tetrasodium, tetrasodium editronate.